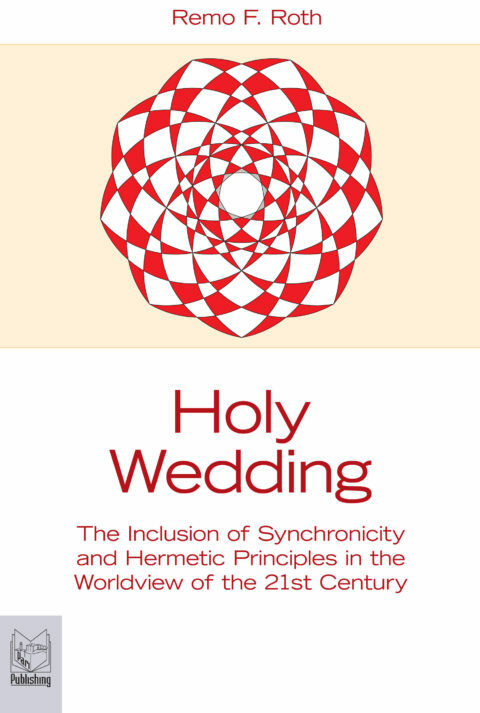 “Holy Wedding is the opus of a trilogy that commenced with Remo Roth’s previous works Return of the World Soul I, an analysis of the pivotal relationship between the great minds of depth psychologist Carl Jung and physicist Wolfgang Pauli, and Return of the World Soul II, a model of psychophysical reality for a generative world. In this latest work Dr Roth leads us on a pathway towards a coniunctio of the leading edges of contemporary human consciousness; physics and psychology. He addresses the ‘Holy Wedding’ of psyche and matter as an issue of prime importance not only in the evolutionary impulse of us as a human species but also to our survival. In Holy Wedding we are offered a precise language that enables us to navigate the dynamic, bipolar world of our logos mind and our eros mind. By understanding this we are able to wed our thinking and feeling, logos and eros or psyche and matter within us. Central to this alchemical model is that when we achieve such an inner coniunctio it acausally and nonlocally radiates a positive impact on the world around us. In doing this we are agents of creating new and generative realities.